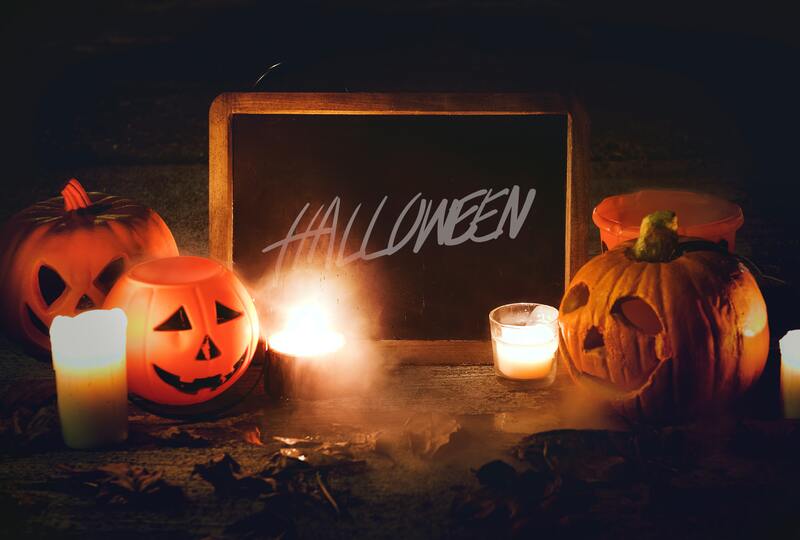 Perfect for lighting up a spooky night! Simply melt some orange wax down on the stove with some essential oils and spices. Then in a clear glass cup, hold a long wick in the middle, and pour the wax around the wick. 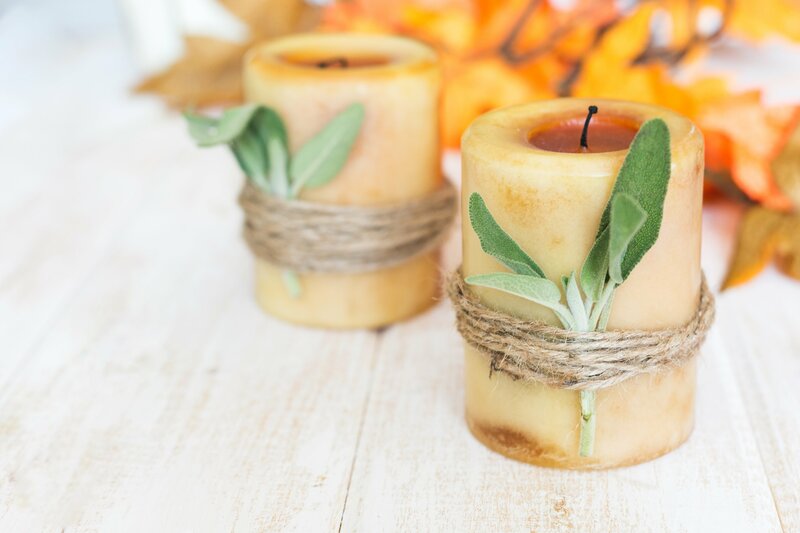 After your candle cools, wrap some earthy elements (twine, spice leaves, etc.) around it BAM you’ve got a festive candle that can be used all Fall! Let’s be honest. Carving pumpkins is a blast, but can get messy quick. For a unique way to use pumpkins as decoration, try painting them! From funny-faces, to landscapes, to classy black and white pumpkins the options for painted pumpkins are endless. Just pick up some Acrylic paint, and let your creativity out! 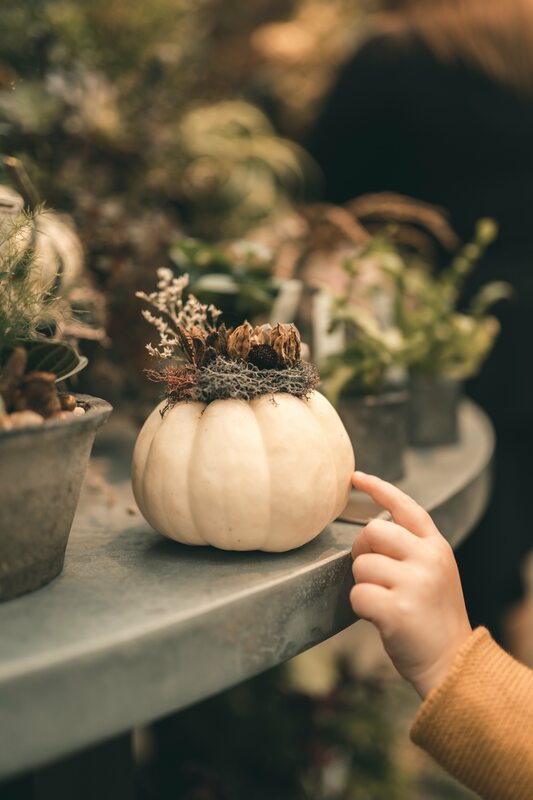 If you are dying to get your hands a little dirty this Halloween, instead of a making a Jack-O-Lantern, consider turning your pumpkin into a unique centerpiece! Just hollow out the pumpkin, place a little soil inside the pumpkin, and add some succulents! Extra sheets or linen lying around? 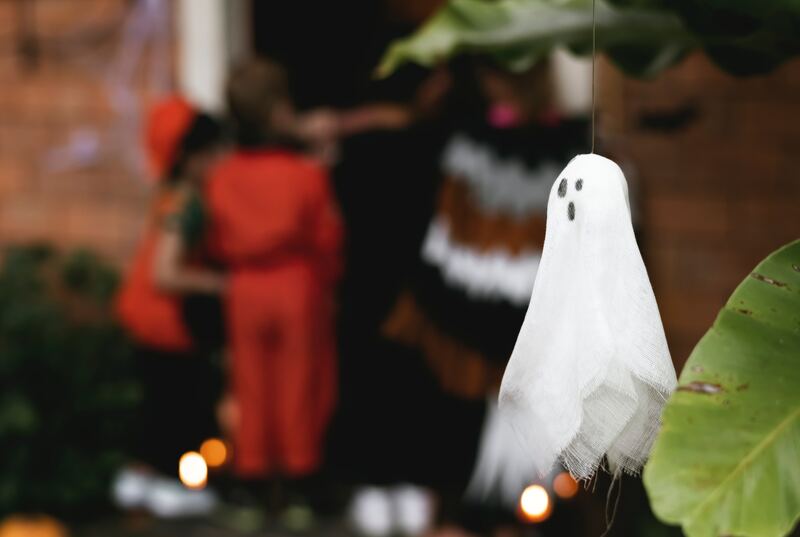 Get crafty and make some ghosts to hang around your house this Halloween! Simply fold the cloth, draw a face, and hang on a ornament hook (easily bought at your local craft store). 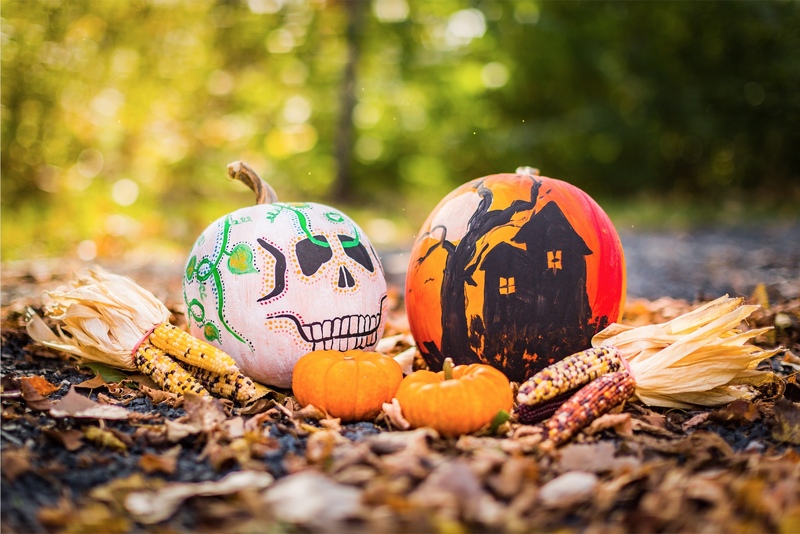 Not only do these add a playful element to your Halloween decorations, but can even be saved for next year!